Before I started my first blog, I should have learned more about blogging and online marketing. But I did that mistake and I started a blog. Since 2008 I have been active on Internet. But when I started blogging with free blogger platform, I made many mistakes without knowing them. I'm still learning about blogging from other expert bloggers. Becoming a professional blogger is not going to happen over night. However, someone who has drive and is focus will find it a lot easier to build a blogging career. 1. Thinking about doing Blogging is very easy, but it is actually not easy to write on a web page what I'm thinking and it’s incredibly time-consuming – at first. Okay, it’s still time-consuming now – I’m just a lot more used to it. Yes, blogging takes time. You have to come up with ideas, write those ideas, format them in a post, take photos, upload them, edit them, publish, and put on social media. Every single time you post. You can not skip any task. 2. When I started blogging, I hoped that I would get a ton of traffic through search engines because all of the other popular blogs got a lot of traffic from google and Bing. But the reality is you won’t get too much traffic from Google because your blog is new…it takes years before your search engine traffic kicks in. 3. Nobody will read your article on blog at first. Even if you have great contents. You have to market it. 4. No one gonna leave you comment. It needs time, when people know you, they will comment on your blog. 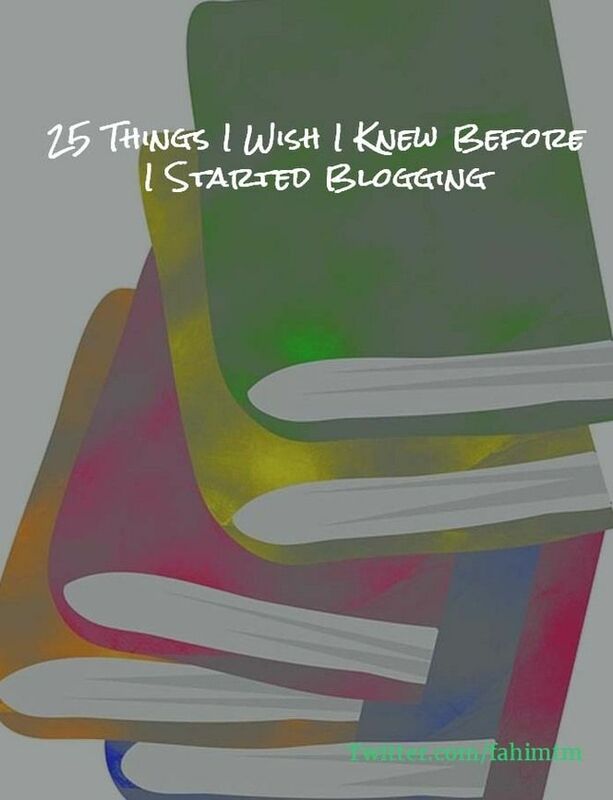 Its not too late to start a blog, kick off right now. 5. Please don't take this personally or feel like a failure. It happens with everyone. The fact is, no one knows about your blog yet. You have to do well marketing, if need you should spend money on it. It takes time to build that up. But good effort gives excellent result. 6. Pablo by Buffer is your best friend. Here is link for it https://pablo.buffer.com/app This is the ultimate solutions to create and edit pictures for your blog. 7. Maybe Someone will post an extremely rude comment. What you won't love. Just ignore it. And continue creating your content. remember what google says, Content is king. 8. You are new at blogging, and so you have a lot to learn. Don’t compare to anything. Don’t become defeated when your version of “success” has not yet come. 9. Blog friends are very very essential. Find your niche bloggers and be friendly with them. Make it as soon as possible. 10. There are billions of web readers, But not everyone will care your blog. But if you care, the people who want to read your blog will follow. Set your target and make it. 11. Getting new traffic is easy, but its difficult to return them. Sometime its impossible if you don't have useful and great content. 12. All the sudden, you will find yourself saying, “I am so going to blog about that” as you bust out your camera. 13. Not everything that happens in your life needs to be blogged about. Maintain privacy is essential too. And it’s okay to keep what you want private. 14. You must need social media to grow your blog audience. Before I started my blog, I thought being on it more would be a bad thing. But most of my sites starts being popular with social media like Facebook, twitter, pinterest. Without social media, my blog would still be in the dark with no readers. Starting social media strategy should be in must do list. 15. There are lots of blog that will always be “better” than yours blog. So stop caring about being better and just keep aiming to stay on track and keep working on being yourself whatever you needs. 16. Blog conversations should be friendly and not too formal. Don’t write your posts as if you are writing an essay. Write it as you speak out from the heart, give people something you really know about. 17. I didn’t realize content length affects organic search traffic until I started to write really detailed posts. The beautiful part about writing detailed content is that it ranks higher on Google and other search engines. Check out any "search terms" in google first page, each site you found on the first page will have at least 2000 words (on average) of content. This is the proof that Google cares about detailed article but not irrelevant. According to google content is king. 18. It’s not necessary to blog every day. In fact, that’s impossible. But should blog regularly. Better maintain weekly twice or maybe three is good enough. 19. A/B testing – if you want to maximize your revenue, you will have to A/B test your call to actions and monetization methods. If you don’t have the skill set to do this, you’ll have to spend money hiring consultants. 20. Before I started Blogging, I though making money is very easy if I have a blog, don't care about the content and other facts. But I was wrong, Making money from blogging is hard if you walk throw the wrong way. Slowly I have learned and now I think everyone should take helps from other established blogger. 21. I enjoy blogging so much more than I realized I could. It’s very rewarding, fun, and exciting. But sometime I feel bored and I think this is the time to take a break for few days. 22. Something you don't know. People actually will read your blog. The first time someone said, “Oh yeah, I saw that on your blog,” I think I almost peed my pants. You read my blog?! Well, of course they do. It’s on the INTERNET! 23. Managing social media accounts for blogging needs third party tools. If you don't use it, you will go down by other competitors. 24. Google Adsense is not the only way to make money with your blog. There are hundreds of method to choose. However I prefer and recommend to use adsense for newbie blogger. Its easy to setup. 25. Starting a blog without knowing the proper aim should be avoided. If you are going to start a blog, before you go ahead, be motivated what you actually do with it? Why you going to start a blog? If you really have some reason then you can go forward, otherwise don't waste your time. If you are going to start a blog, you should learn properly how to start a blog, how to grow blog traffic, how to start blog content marketing and many more things. You might needs to invest on it. This post probably could have turned into 100 things I wish I’d known, especially since I’m still learning new things about blogging every day. but I have shortened it in number 25. have your say in the comment box and never forget to share this article with friends and the world via social media.